Were you looking for California Employment or Denny's Inc. lawsuits? The Family and Medical Leave Act (FMLA) is a federal law that protects the rights of eligible employees to take up to 12 weeks of work off for certain reasons related family issues. The California Family Rights Act (CFRA) is a state law designed to protect the rights of California employees who must take a leave for family or medical reasons. Employees who are denied this right or who take their leave only to find that their job has not been held may be eligible to file an employment lawsuit against their employer. Send your Family & Medical Leave claim to a lawyer who will review your claim at NO COST or obligation. The FMLA is overseen by the Department of Labor (DOL), Employment Standards Administration, Wage and Hour Division. It protects the rights of employees who have been employed for at least 12 months and worked a minimum of 1,250 hours as of the start of the FMLA leave. Eligible employees are entitled to up to 12 workweeks of paid or unpaid job-protected leave with employer-paid benefits. The birth, adoption or foster care placement of a child. 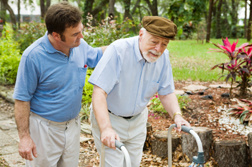 To care for an immediate family member (spouse, child or parent) who has a serious health condition. To care for a family member who suffered serious injury during active military duty. 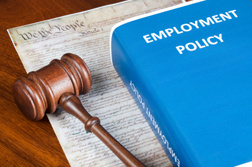 If an employee takes an FMLA leave, he or she is entitled to return to the same position he or she left or to an equivalent position, complete with equivalent pay, benefits and terms of employment. Failure to restore an employee to his or her position or an equivalent position could result in a lawsuit filed against the employer. Furthermore, the law also prohibits retaliation or discrimination against any employee who exercises his or her rights under the FMLA. The employee's own serious health condition. Employers who must follow the CFRA are those who do business in California and employ a minimum of 50 part-time or full-time employees. To be eligible for leave under the CFRA, the employee must be a full or part-time worker who has been with the employer for more than 12 months and worked at least 1,250 hours in the 12 months prior to the first day of the leave. CFRA leave entitles eligible employees to up to 12 workweeks in a 12-month period. When the employee returns to work he or she is entitled to the same or a comparable position as when he or she went on leave. Lawsuits alleging violations of the Family and Medical Leave Act, the California Family Rights Act, and the California Medical Leave Act have been filed against California employers. One such lawsuit, filed in 2013, alleged that a nurse who was employed at a hospital in California received harassing phone calls and demands that she return to work when she took time off to care for her mother who had undergone a total hip replacement. The plaintiff alleged that when she returned to work she was put on suspension and then fired in retaliation for taking time off work. If you or a loved one believe your employer has violated your Family and Medical Leave rights, please click the link below and your complaint will be sent to an employment lawyer who may evaluate your claim at no cost or obligation.